Your uniforms are important. Nothing shouts success more than a company with clean, smart, professionally-dressed employees. Not only that, you’re also being held to more and more stringent cleanliness guidelines. Luckily for you, Alsco are in the business of putting your staff’s appearance first. With our Managed Uniform Rental Service, we’ll pick up your dirty uniforms and deliver a clean, brand new batch like clockwork. Keep your people proud and professional – 24/7. It’s the Alsco way. Ready to benefit from Alsco’s convenient Managed Uniform Rental Service – and let us take care of absolutely everything involved? Contact our New Zealand branch for a free quote or browse our services below! Alsco excels at providing New Zealand businesses with practical high visibility workwear. What makes our garments stand out are durable heavyweight cotton drill, the perfect blend of cotton and polyester in our fabrics and highly protective optional additions. We can make our garments stain proof, flame retardant and even UV resistant. You can choose from a wide variety of sizes, colours and styles of Alsco industrial uniforms. Sharp. Sanitary. Durable. All these are the features of Alsco’s food industry workwear. Alsco uniforms help maintain hygienic levels necessary for the food industry and do it in style. Food industry workwear is the first barrier between the germs and the food, so don’t compromise on quality. The strict and precise guidelines of the Pharmaceutical industry are essential for your business. Alsco’s uniforms easily meet those high hygienic and sanitary standards. With these sterile and comfortable uniforms from Alsco, you get cost-effective but superb workwear for your staff. The Alsco range of high quality Hospitality Workwear and Chef Clothing ensures every chef and kitchen employee can look and feel professional while meeting food industry hygiene standards. We supply a range of quality chef jackets, waiter’s jackets, chef pants and aprons, which can all be customised with your logo. Alsco doesn’t just offer durable laundry lockers. We’ll take your soiled uniforms and refill each of your lockers with sparkling clean, pressed uniforms for each of your employees on a regular basis. Because utmost of convenience is worth it. Why should you choose Alsco’s Uniform Rental Service? One annual fee – limitless uniform replacements. Alsco don’t sell you uniforms, we rent them. This keeps your costs low and convenience high. A lot has changed in the world since Alsco was founded – including Alsco. But one thing hasn’t. 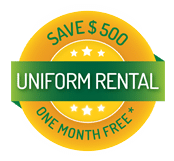 That is our unwavering commitment to provide you with an affordable yet high-quality uniform rental service, keeping your employees looking and feeling happy and professional. 50,000 satisfied customers across Australasia can testify to that. 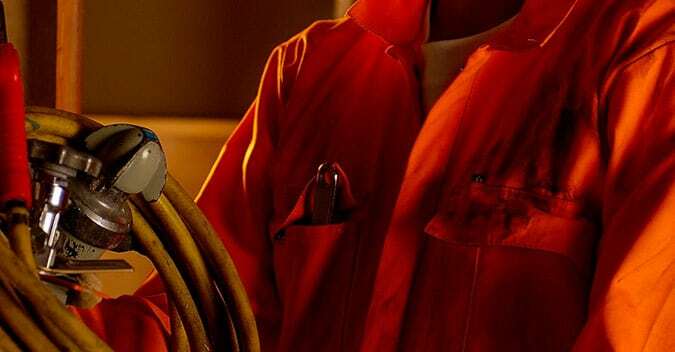 Delivering all across New Zealand, Alsco can provide you with clean, quality uniforms on a regular basis – no matter what or where your business is. Have unique industry requirements or one-off emergency delivery needs? Our friendly staff will be happy to help.